It is hard to overstate what a runaway success Nick Payne’s Constellations has been. 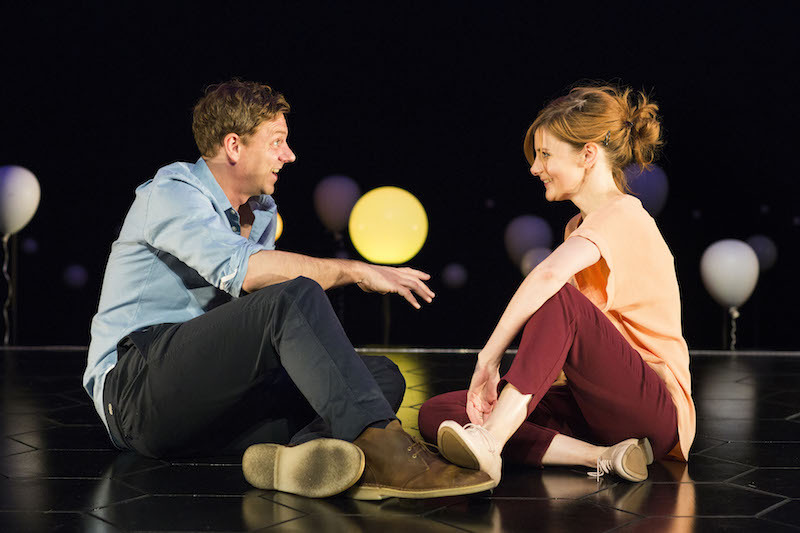 Since it premiered at the Royal Court in January 2012, it has enjoyed a West End run, a Broadway run (with no less a pairing than Jake Gyllenhaal and Ruth Wilson), a national tour, won Best Play in the Evening Standard Awards and was nominated for three Tony Awards. In terms of new British drama, the only recent works that match its transatlantic critical and public acclaim are Peter Morgan’s The Audience (which received a significant boost from its subject matter and star-led casting) and Jez Butterworth’s Jerusalem (truly brilliant but now almost 5 years old). There may be others but you get the point, Mr Payne can be placed among a select band of playwrights to have written a 21st century play that will be mentioned when we reflect back on this period in the years to come. There is a risk that re-watching a play leads to a breaking of the spell, a dissipation of the magic that you allowed to be cast first time around when everything was fresh, exciting and new. The peril may have been even greater with Constellations, which is so delicately constructed that the fear is, if one looks closely enough, the unsightly cogs that keep the intertwined narrative threads running smoothly without snagging and fraying will become all too visible. 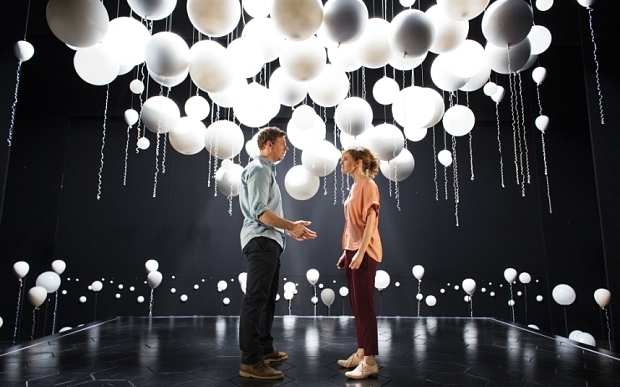 Yet watching Constellations for a second time is a rewarding experience. For a play that is a rich and considered portrait of love, it is perhaps appropriate that experiences of the first time exist as a blur; the brain is left to furiously piece together a flood of memories and fragmented emotions. You leave the auditorium exhilarated but exhausted, mental faculties taken through a mangle to leave you physically strung out. Second time around everything can appear that little bit slower. The big surprises may have gone but it is an opportunity to luxuriate in everything you missed out on first time round. With the benefit of knowing what happens and how it all pieces together, the second time allows you to observe the process as much as watch the play. It is a chance to explore and to probe. Was it just a flash in the pan or is there something longer lasting? Were we all sucked in by a snake-oil salesman’s polish or is there an intellectual depth that rewards repeat experiences? Well, I found the intricate nature of the plotting that served so well to keep you wrong-footed originally is something that can now be admired in its own right on a second viewing. Knowledge of the structure allows you to enjoy the process of being taken towards a climax that manages to be both tragic and hopeful but the foreknowledge doesn’t serve to lessen the emotional impact. This is because of Mr Payne’s ability capture the rhythms of the everyday in his writing ensures that the quality of the content remains in harmony with the artistry of the construction. Watching it with a more reflective eye allowed me to realise that one of Mr Payne’s real achievements – and possibly why it struck such a chord with the public – is the ability to dramatize regular life. We often talk about naturalistic plays and ‘method’ acting, but the insular nature of theatre perhaps makes us blind to the fact that these are rarely normal characters in the way that everyday people would understand. Most people’s lives wouldn’t make very interesting plays. We go to the theatre to be taken away from the mundane nature of everyday life. Even in TV soaps the world is a fantastical place that bears no reality to where they are supposedly set. The great triumph of Constellations is that Marian and Roland are recognisable to the real world. They may not exist within your social circle of friends (the names alone suggest a certain white, affluent middle-class lifestyle) but it is easy to imagine being told their life story by friends at wedding, or by a distant cousin visiting for Christmas, rather than seeing it portrayed for months in the West End. It is not a stage-version of reality. It is a reality. Or a multiplicity of realities. The awkward encounters, the meet-cutes, the jokes that fall flat, or the arguments that never quite happen. We invest in these characters not because they are dramatically interesting but because we recognise that they are as uninteresting as the rest of us, and that is what makes them human and tragic and glorious.